Logic Pro X 10.2.2 has been swiftly released! For more information, see the Logic Pro X website. For information about previous Logic updates see the Logic Pro X 10.0 Release Notes, Logic Pro X 10.1 Release Notes and Logic Pro X 10.2.1 Release Notes. For more information, see the Logic Pro X website. 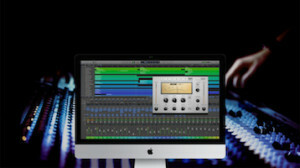 For information about previous Logic updates see the Logic Pro X 10.0 Release Notes and Logic Pro X 10.1 Release Notes.